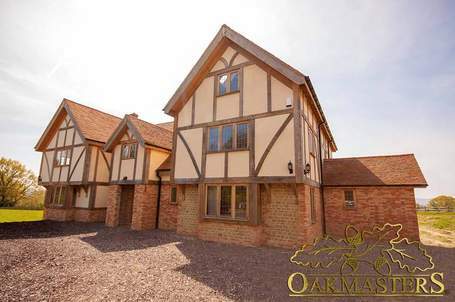 You’ve got your heart set on living in an oak-framed house that’s built specially for you. But where? With so many different types of potential building plots available, how do you choose the most suitable? And what can you do to ensure the construction of your dream home isn’t blocked by planning officials? We put those questions to Luke Carter, director of Brighton-based chartered town planning practice Lewis & Co Planning. Here, Luke lists the five most common types of building plot in order of preference and briefly explains why he’s ranked them this way. Of the five main options we look at here, this is the most preferable for the simple reason that someone has already done the hard work for you. Whether or not the plot has planning permission for the particular house you want to build or for a different style of house, the principle of building on this site has been considered and granted. This means it’s likely to be considered favourably again, even if you do want to build something different to what’s already approved. Much of the same logic applies here as in number one on our list, because you’re looking to build a new house on established residential land. Whether you intend to replace a house that’s dilapidated or a house that’s in good condition, you should be pushing against an open door with the council. With a replacement dwelling, all the council really has to consider is the design of the new house, its visual impact and its impact on the neighbours. Do bear in mind that local authority planning policy generally requires a new build to be in scale with its surroundings – so if, for example, you’re looking to build a four-storey house in a village where most of the houses are two-storey, you might struggle to get permission. Keep the house in scale though, and it could even get permission if the design is very individual. Unlike a new build, there are limits to what you can do with an existing house. For example, you can’t pick the whole thing up and turn it around by 90 degrees so that it faces the way you want it to. But it’s often possible to remodel a house to achieve the effect that you want, giving the house more character, living space and value. Because there’s already a house on the plot, you should be given a fair degree of freedom with alterations and extensions unless it’s a listed building or in a conservation area. You’ll probably have to be sympathetic to the appearance of the existing house, particularly if you’re in an area with a lot of similar houses, so your design may well have to be in keeping with what’s around it. 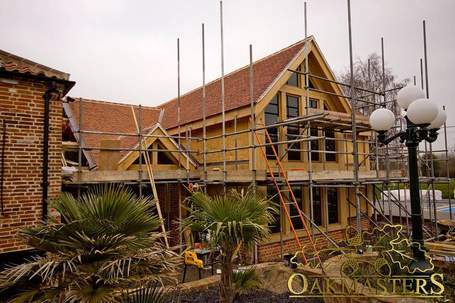 Oak-framed extensions tend to be of an exceptionally high quality and high aesthetic standard, which helps. If you’re thinking of requesting permission to build a house where there’s a leftover parcel of land, I’d sound a warning! This can be quite difficult. For example, we know of a local authority, whose planning policy regards parcels of land within its city as beneficial open spaces. This means they’re resistant to in-filling whether or not the land is in public or private ownership and whether or not there’s easy access to it. It can be easier where somebody in the past has bought two building plots but only built on one of them. In this kind of situation, you could get permission to fill-in the missing tooth in the row. This is the least preferable of all the options. Councils, as well as providing houses, also have a duty to provide sufficient employment land. Many outdated commercial and industrial buildings have gone in the last 20 years and what’s left, councils are keen to protect as places for people to work. It can be easier to get house-building permission where there are commercial or industrial buildings that are clearly no longer fit for purpose, where there’s a legacy of abandoned industrial buildings and large swathes of unwanted land. However, where commercial premises were recently in use but aren’t succeeding, you’ll have to prove that they have been marketed properly for at least a year or two and that they’re no longer sustainable for commercial activity. All councils have to publish and work towards a local plan, which sets out the areas allocated for housing and employment and which identifies the areas inside and outside the development boundary. There might also be a neighbourhood plan, which specifies where building can and cannot take place. Most councils offer a pre-application service, which is worth using. It’s always wise to talk to a planning consultant first. Expert knowledge could save you a lot of time and heartache!